We like to raise new hens every year for optimal egg-laying, and recently we’ve mostly started those chicks by hatching our homegrown eggs. However, last year I opted to branch out into ducks, and that meant that we went into winter with a very small chicken flock — just three hens and a rooster. Since all four of our chickens are siblings, I felt like that was too much of a genetic bottleneck, so I opted to start from scratch this year rather than hatching our own chicks. To learn more about the breeds we’ve already tried and deemed wanting or perfect for the homestead, check out my ebook Thrifty Chicken Breeds. 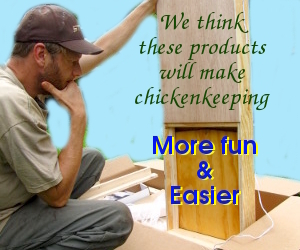 And, in the meantime, if you’re planning a chick order, be sure to put it together sooner rather than later! For dependable laying of your pullets before winter, you’ll get best results if your chicks arrive by the end of March.